Welcome to this week’s edition of The Scoop. I can’t wait to see all that you have to share! I know that Thanksgiving is less than two weeks away, but I’m no where near ready! We’ve been renovating our house and things are slowly grinding along. I’m just hoping that my kitchen will be ready for me to cook in since I’m the one hosting. I finally shared some photos of the new house yesterday. Did you see it? Take a look and you’ll see why I’m a bit concerned about being ready for Thanksgiving. Now, let’s get on with it! Hi everyone! Thanks so much for joining us at The Scoop! It wouldn’t be a party without our guests. I always look forward to seeing the wonderful ideas that you share with us each week! Can you believe it’s just a few weeks until Thanksgiving? I am excited that it’s almost here because it’s my favorite holiday! I have been working to get my tablescape ready and will be sharing it this week but, in the meantime, here’s a peek at a few of my past Thanksgiving tablescapes! And I am also excited because our Country French design group just had our monthly share and this time the subject was a favorite of mine…using baskets in Country French décor! And now here are a few things that caught my eye last week! Eilis at My Heart Lives Here showed us her beautiful front porch all decorated for fall! 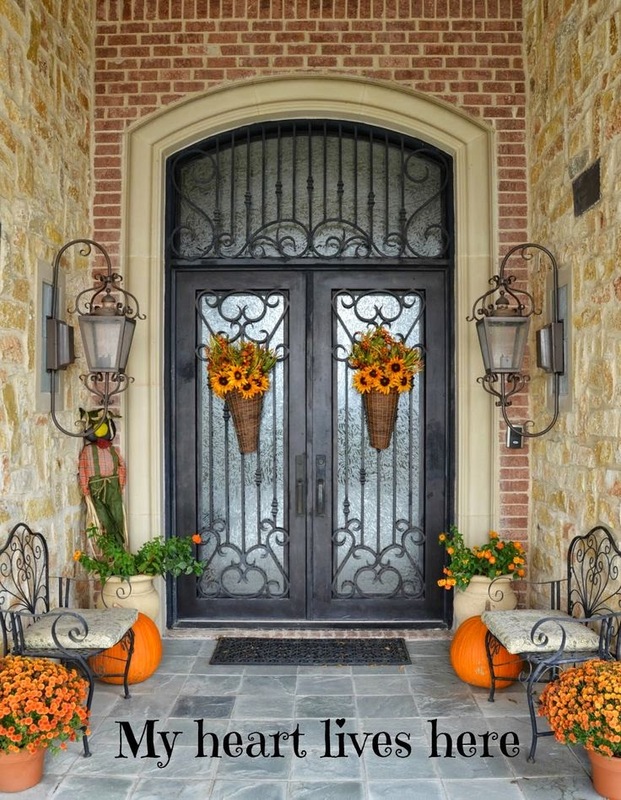 Gotta love those baskets on the doors! 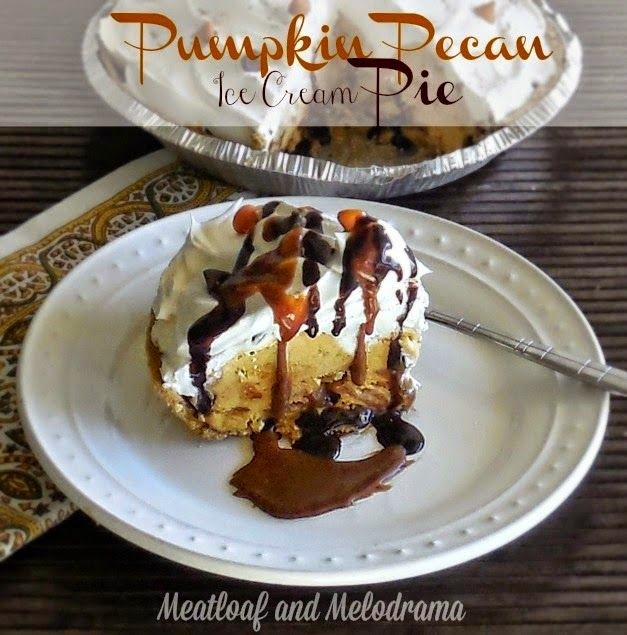 Doesn’t this pumpkin pecan ice cream pie from Dee at Meatloaf and Melodrama look yummy? It’s a triple header for me with three of my favorites all rolled into one fabulous dessert! You know I loved this one! 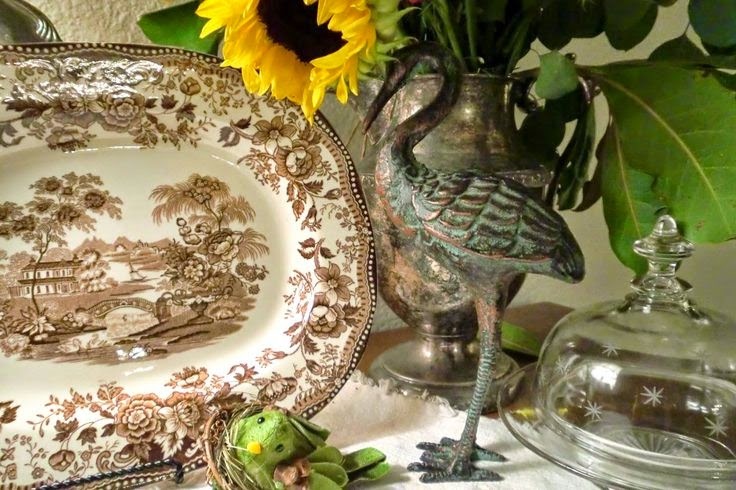 Melissa at Dancing Dog Cabin shared her tips for decorating with brown transferware…perfect for fall! 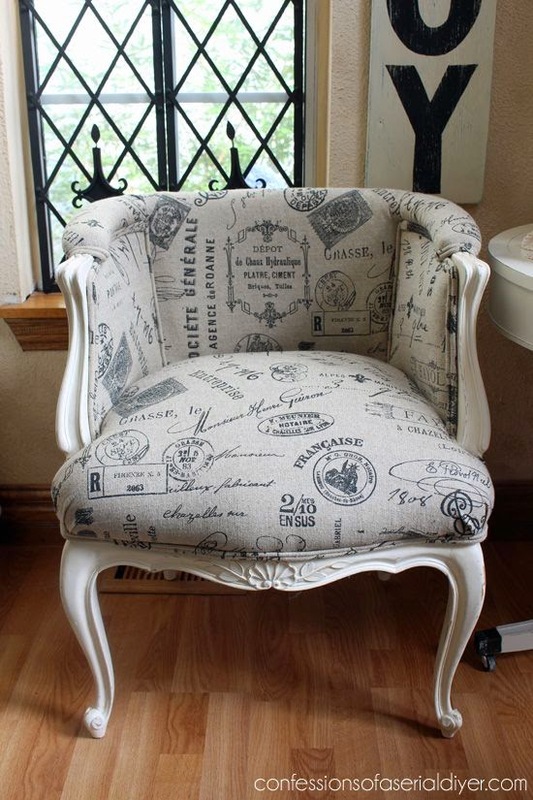 Christy at Confessions of a Serial Do-It-Yourselfer showed us how she made over a pair of French provincial chairs. 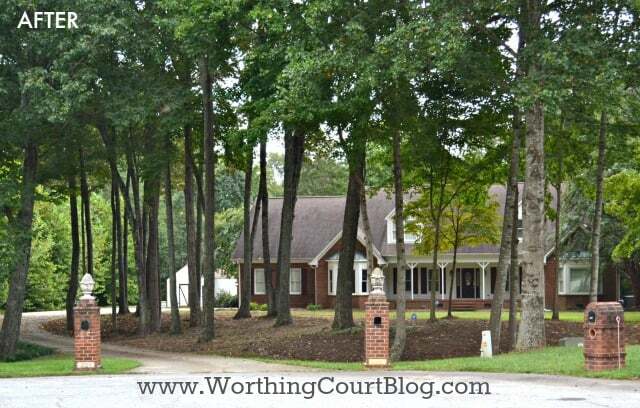 You have to see the “before” to really appreciate this amazing transformation! 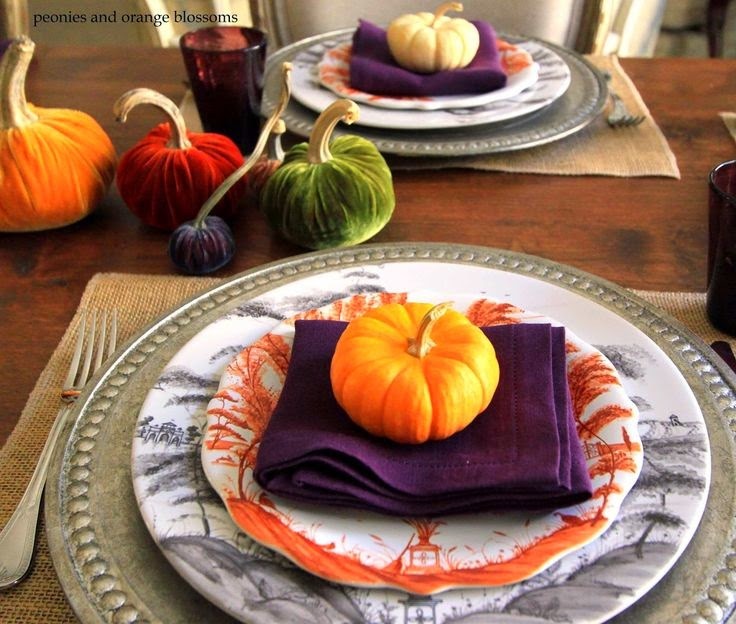 And finally, Angelina at Peonies and Orange Blossoms used jewel tones to create her beautiful and unusual Thanksgiving tablescape! Your house is gorgeous. Thanks for the party. I love your house, it is not only beautiful it says HOME! Love the party features and a peek into your fabulous home! Thank you so much for the lovely party! Suzy, after weeks without being able to link up, I’m so glad to be here! Thanks for hosting a wonderful party. Hope your week is going well!